DESBRISAY DINES: Great British Pasty & Pie Co. He was quite right. I went home and Googled it. The Cornish Pasty, like Champagne or Parmigiano-Reggiano, has its own special designation, protected by the European Union as a special regional food. I hadn’t really believed him, but there it was. But he likes them now. At least the ones he’s making. I like them too, particularly after learning more about their storied history. Created out of necessity by thirteenth century Cornwall tin miners (or, more likely, by their wives) who needed hand-held lunch on-the-go for their deep dark work. And so the pasty was born. Essentially leftovers — cuts of meat, onion, potato, swedes (rutabagas) — wrapped up in a pastry casing that served as both container and handle. 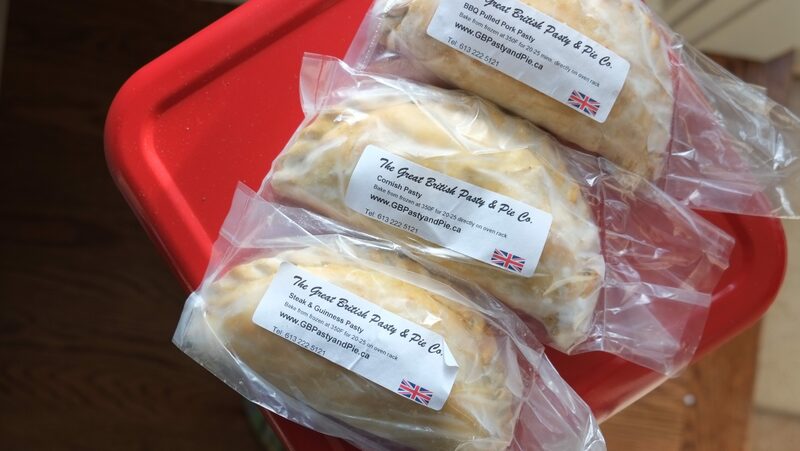 Grant’s gone beyond the traditional Cornish Pasty, taking delicious liberties, making Steak and Guinness pasties (from his mum’s recipe), Sophie’s Cottage Pasties (Sophie’s his sister), and Pulled Pork pasties, which are particularly good. He even has a sweet apple pasty, though I didn’t try it. “There’s no rubbish in our stuff,” he tells me. The vegetables come from Needham’s Market Garden, the meat is Alberta’s finest, the pastry is his mum’s secret recipe. 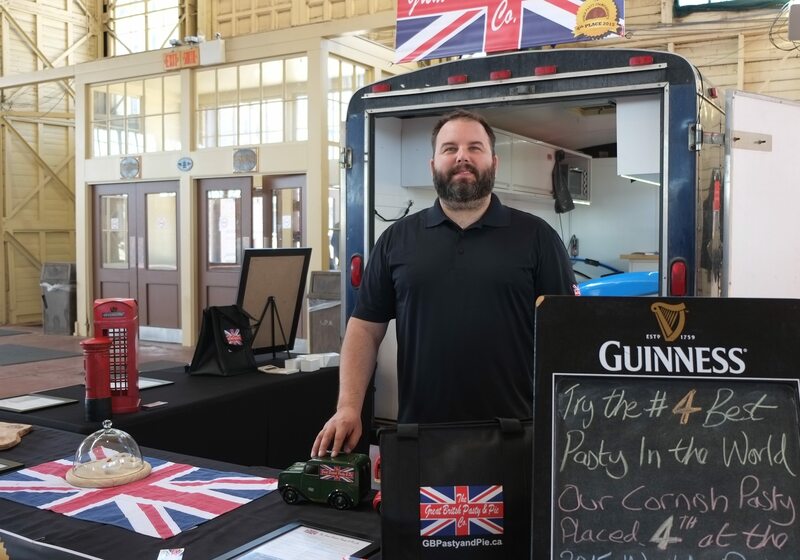 The Great British Pasty & Pie Co truck was parked at The Ottawa Farmers’ Market at Lansdowne Park this past Sunday. You buy the pasties frozen and bake them off at 350 for about 20 minutes.